It’s Monday, and finally everything in the area is open. Here’s the town where we are staying. 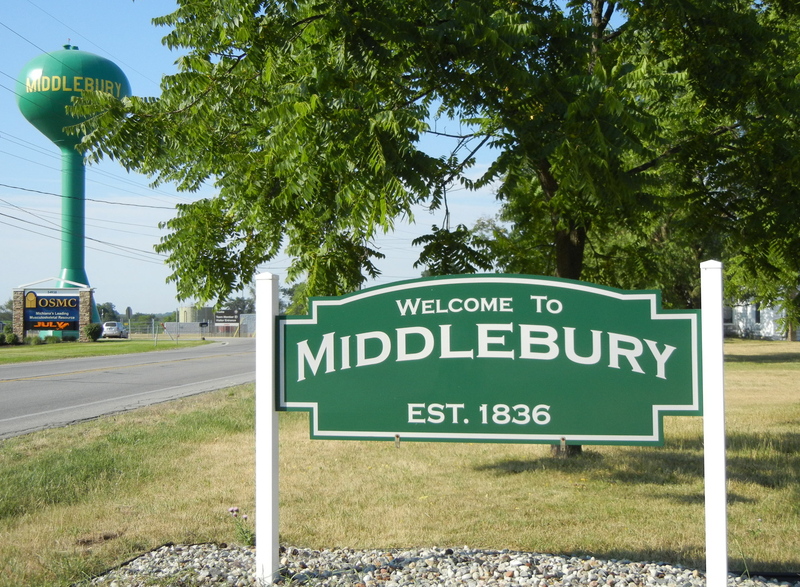 Middlebury is a manufacturing town, known for it’s recreational vehicles. The Jayco Corporation, who must make a lot of these things because they are spread all over the landscape, is right next to our Hampton Inn. Haulmark, who makes utility trailers was on our Sunday ride route. 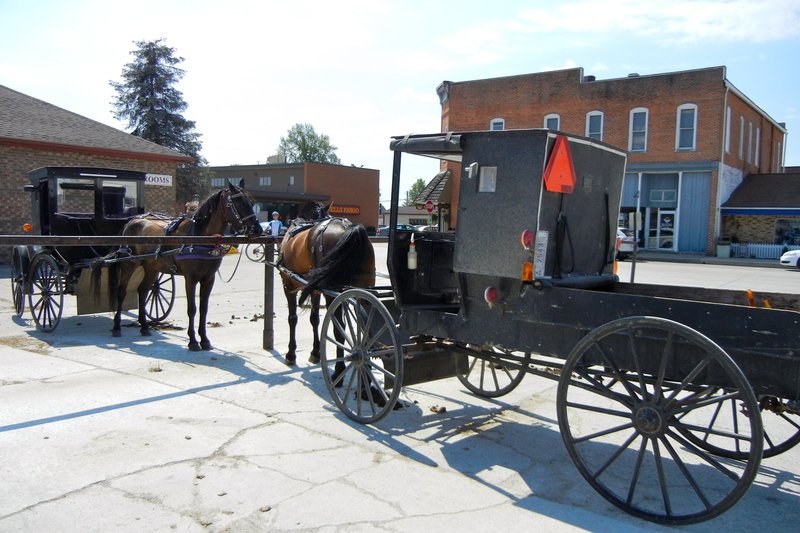 Today’s destination is Shipshewana, which is the touristy part of Amish country. They have a big family-style restaurant there, and lots of shopping for the tour buses that roll through. There is also a big performance theater and you can see Amy Grant later in the year if you are in the area. 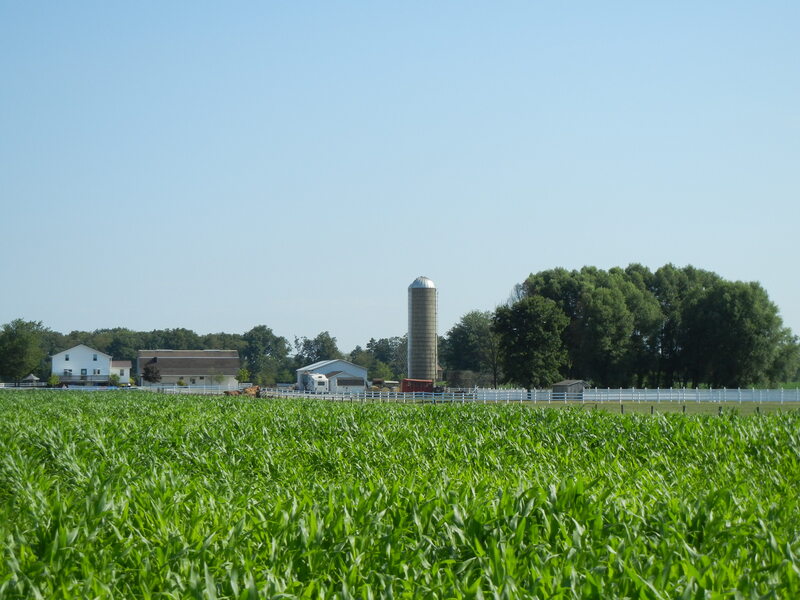 Looks like a good corn crop in Indiana this year. We ride through endless acres of corn and beans today. There are horses, there are cows (including a dead one), and there are pigs. 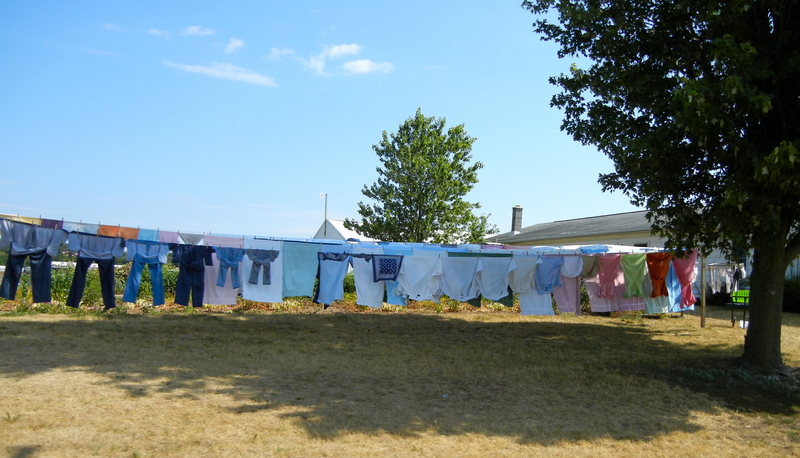 Monday must be Amish laundry day because every farm has the colorful Amish clothing hanging out to dry. Fresh as a summer’s day. We get to Shipshewana about 30 miles into the ride. 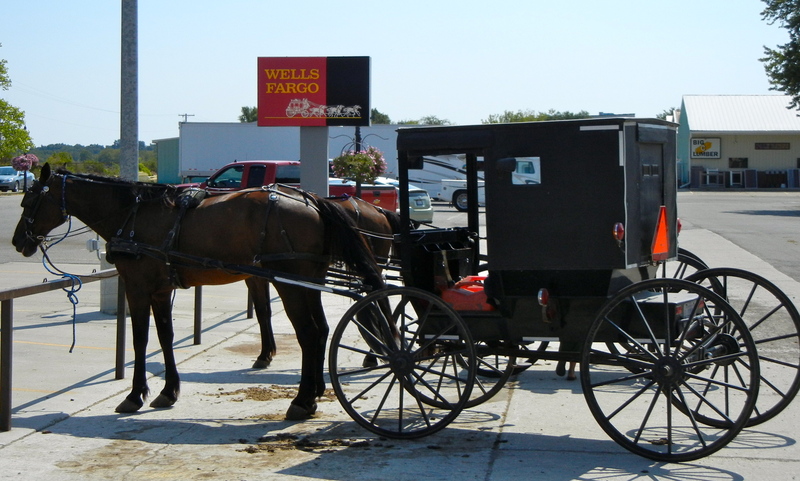 Monday must also be Amish banking day, because there are a lot of them parked outside the Wells Fargo. A free horse poop shovel with every new account? Looks like a scene from the Wild West. We are really here for one reason…pretzels! 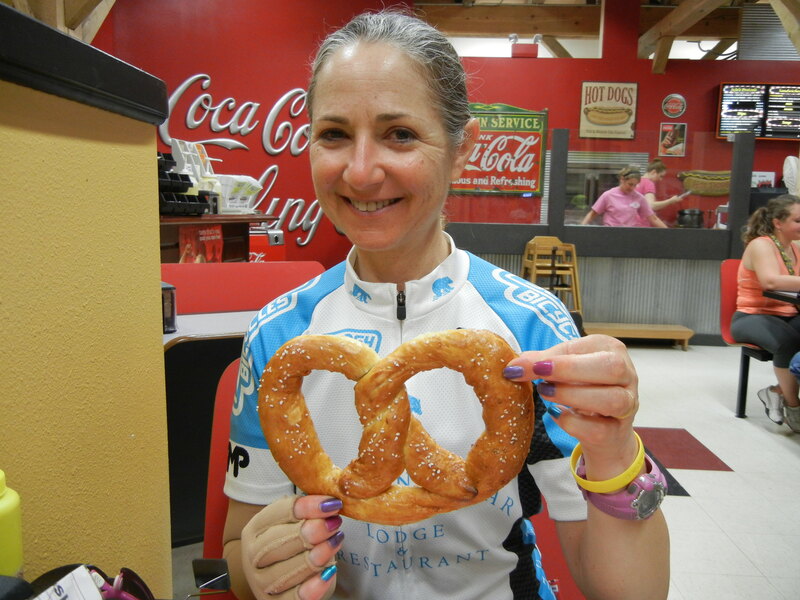 JoJo’s Pretzels are desired by the locals, who are in line to get them. This is one of the best soft pretzels this reporter has ever had. It was oozing with buttery richness. 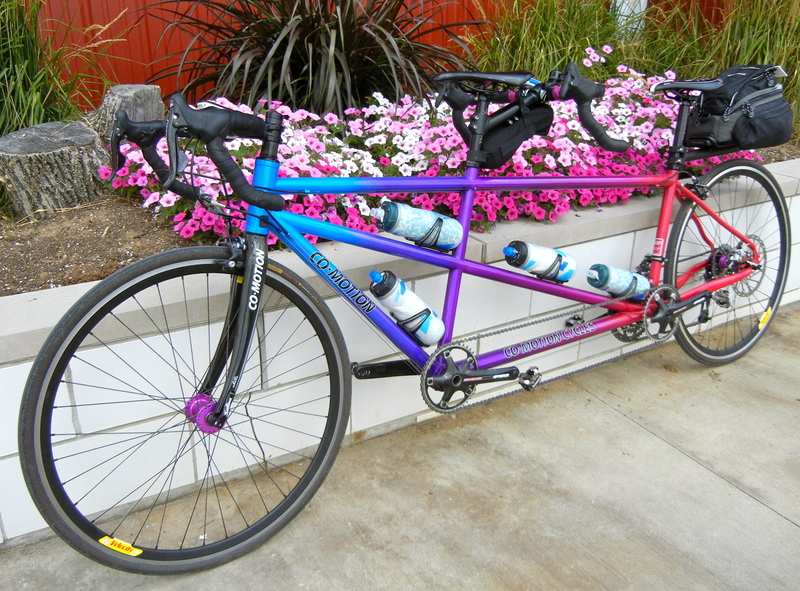 We leave Shipshewana to the tourists and mall shoppers and ride ten more miles to our next destination: lunch. 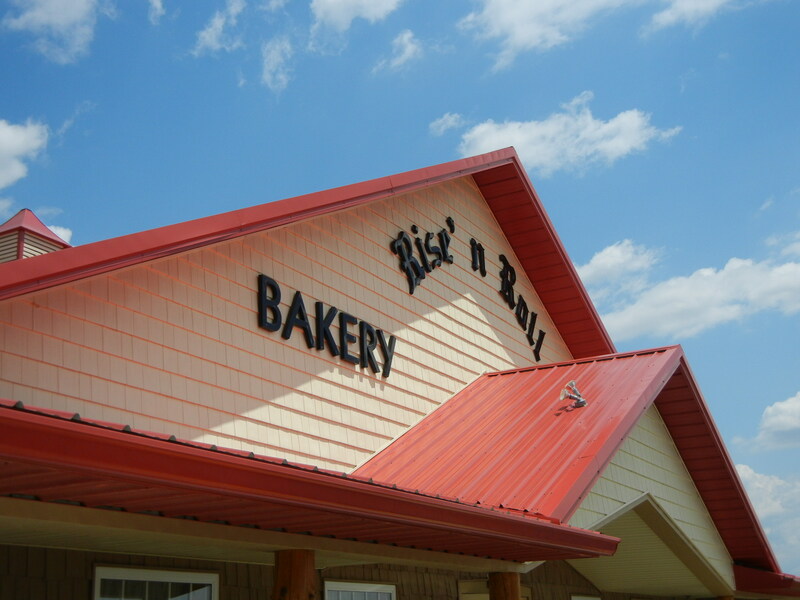 The Rise ‘n Roll is also full of locals. The smell when you walk in is heavenly. 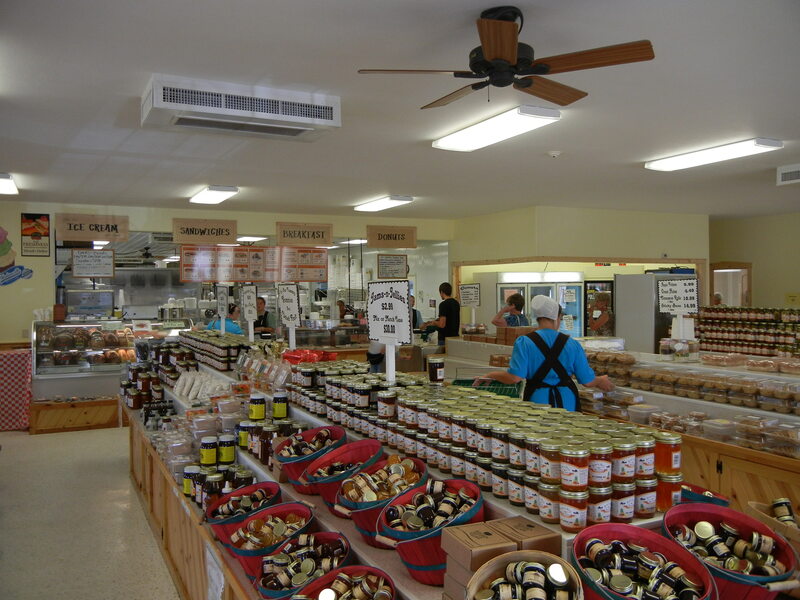 They have all sorts of jams and pickled stuff to go with their baked goods. 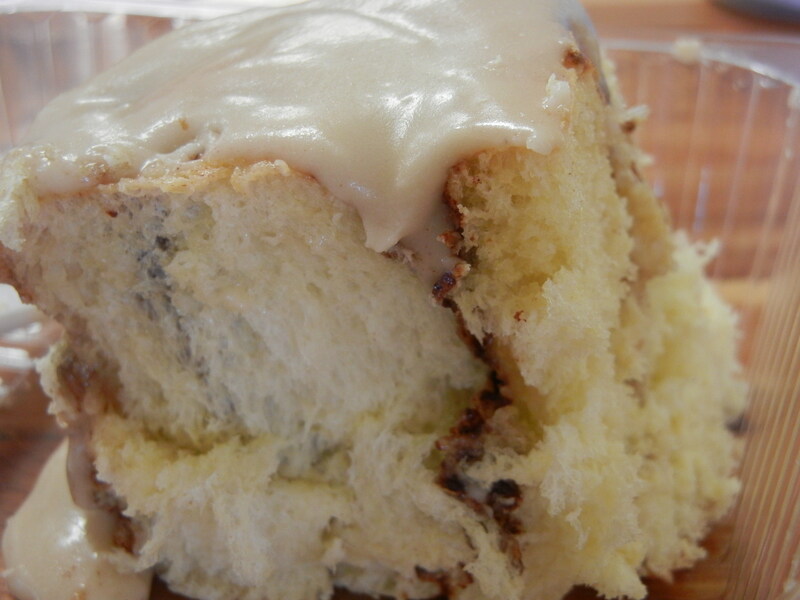 We split the turkey sandwich on a raisin roll and a cinnamon swirl, well worth the calories. Turkey on a raisin roll. Apparently, this was the last raisin roll they had. We only ate half. We saved the rest for you. 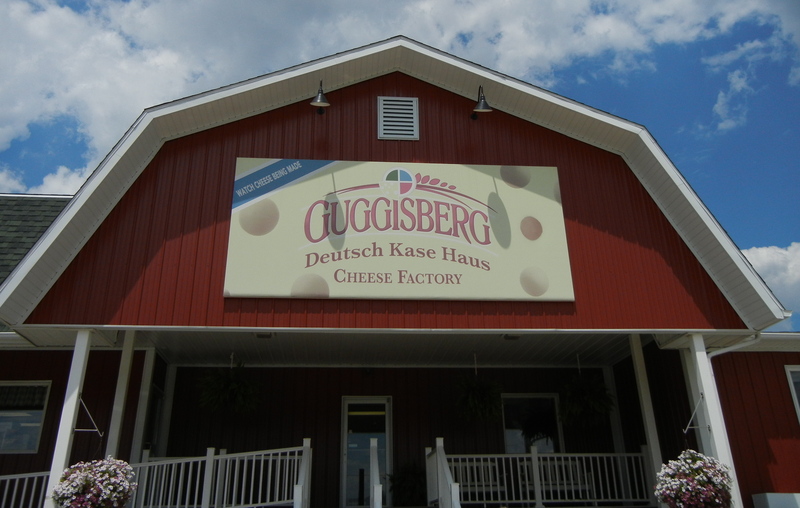 We have one more destination before we end the ride, the Guggisberg cheese factory. They are cooking it up fresh, and it’s only about $3.99 a pound for most of their varieties. Most of the pieces are huge, but they cut us a 4-ounce slice that we take home to eat later. Cheese whiz. 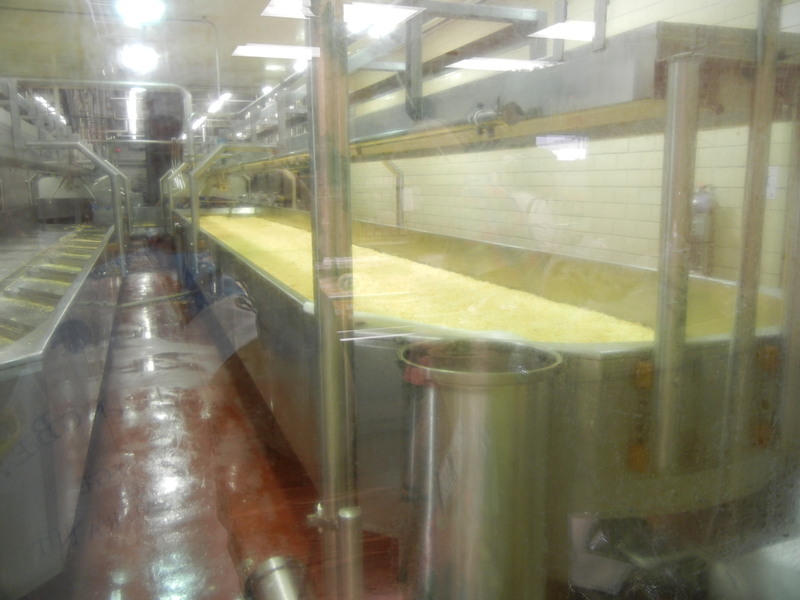 They make the cheese in giant vats. 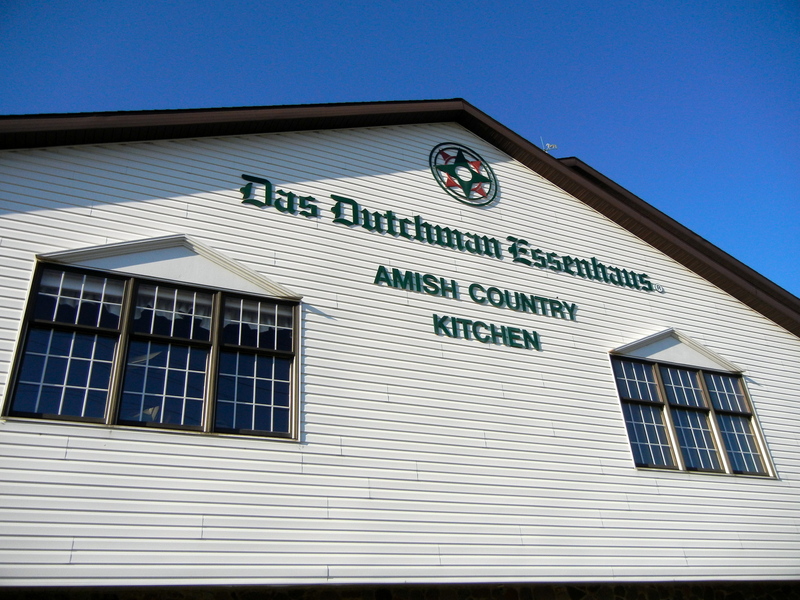 By the time we end, we have run up 47 more miles in Amish country. 100 miles in two days. The bike gets a rest until Tuesday. 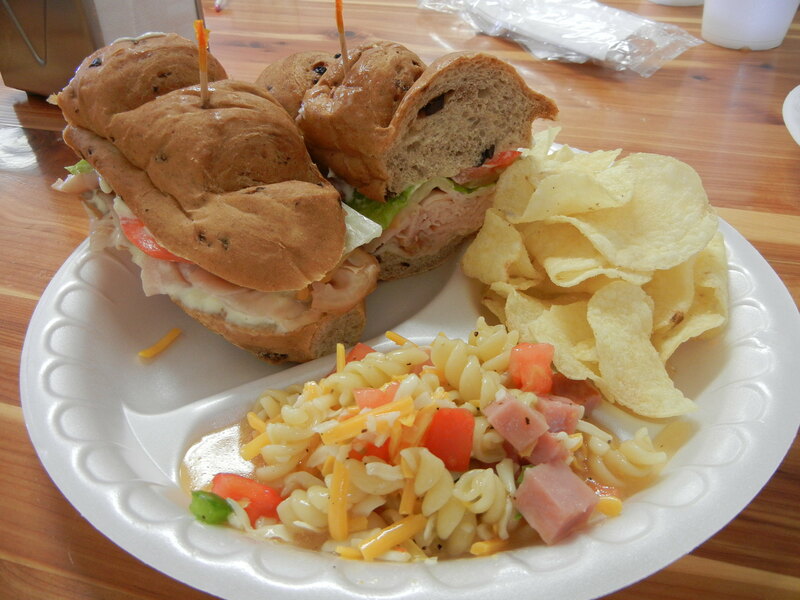 There is only one thing left to do before we leave on Tuesday, visit a smorgasbord, which we walk to for dinner. Essenhaus is Dutch for “boy is my stomach full”! 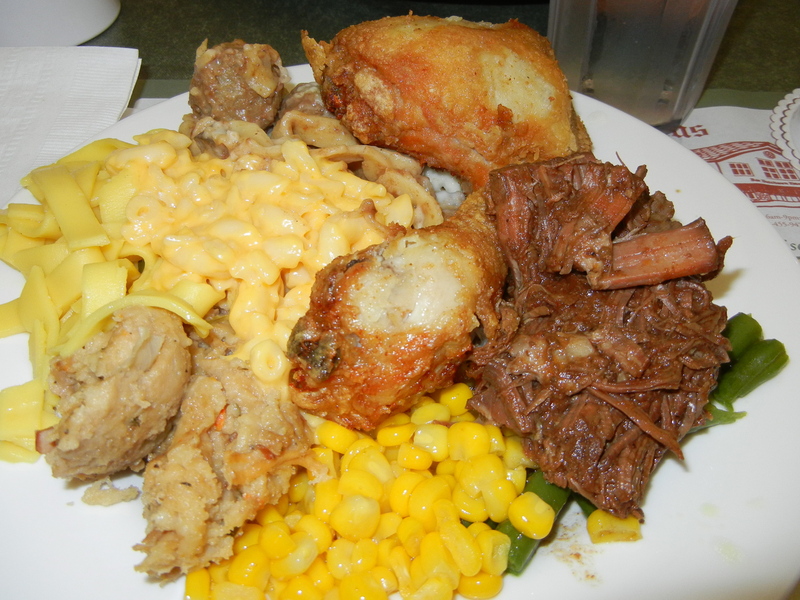 Smorgasbord is Dutch for “I put too much food on the plate”! Anyway, the dinner was quite filling, as you can imagine. 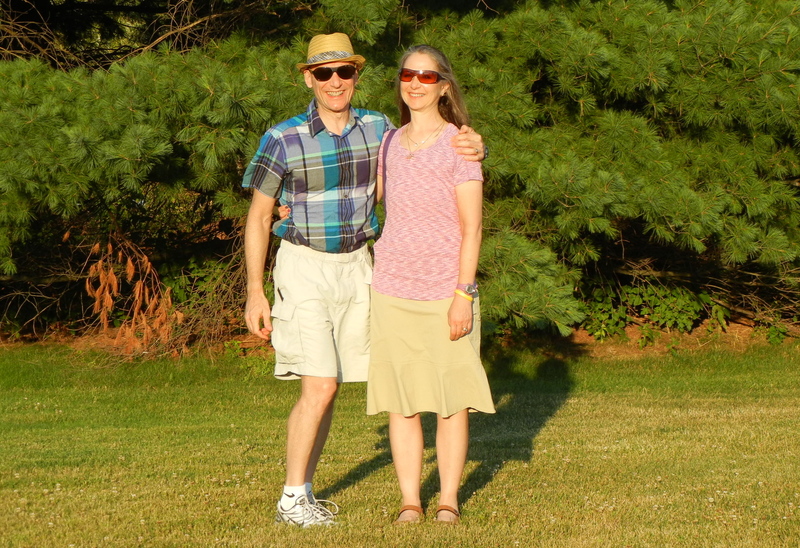 As the sun sets on our last night in Middlebury, we look ahead to Tuesday, when we visit an Amish flea market and then head out of town.